Once again many of this years’ nominees are looking overwhelmingly white and male. Even with Golden Globe wins this past weekend for films like Moonlight and actors like Viola Davis and Donald Glover, it’s equally important for women to be given chances to shine behind the camera as well. A 2016 American documentary by director Ava DuVernay. Centered on race in the United States criminal justice system, the film is titled after the Thirteenth Amendment to the United States Constitution, which outlawed slavery (unless as punishment for a crime). DuVernay’s documentary argues that slavery is being effectively perpetuated through mass incarceration. American sports comedy-drama film based on the novel Derby Girl. Tells the story of teenager from the fictional town of Bodeen, Texas, who joins an all-female roller derby team. A coming-of-age comedy film loosely based on Jane Austen’s ‘Emma’. Cher, a high school student in Beverly Hills, must survive the ups and downs of adolescent life. Her external demeanor at first seems superficial, but rather it hides her wit, charm, and intelligence which help her to deal with relationships, friends, family, school, and the all-important teenage social life. A comedy about bending the rules to reach your goal. Set in Hounslow, West London and Hamburg, the film follows two 18 year olds with their hearts set on a future in professional soccer. Bridget Jones is an average woman struggling against her age, her weight, her job, her lack of a man, and her many imperfections. As a New Year’s Resolution, Bridget decides to take control of her life, starting by keeping a diary in which she will always tell the complete truth. The fireworks begin when her charming though disreputable boss takes an interest in the quirky Miss Jones. Thrown into the mix are Bridget’s band of slightly eccentric friends and a rather disagreeable acquaintance who Bridget cannot seem to stop running into or help finding quietly attractive. Adapted from a sketch of the same name on NBC’s Saturday Night Live, Wayne’s World is a wacky, irreverent pop-culture comedy about the adventures of two amiably aimless metal-head friends, Wayne and Garth. From Wayne’s basement, the pair broadcast a talk-show called “Wayne’s World” on local public access television. My list is just the smallest slither of talent that’s been festering around Hollywood for decades and as you can tell the range of stories being told is incredible. 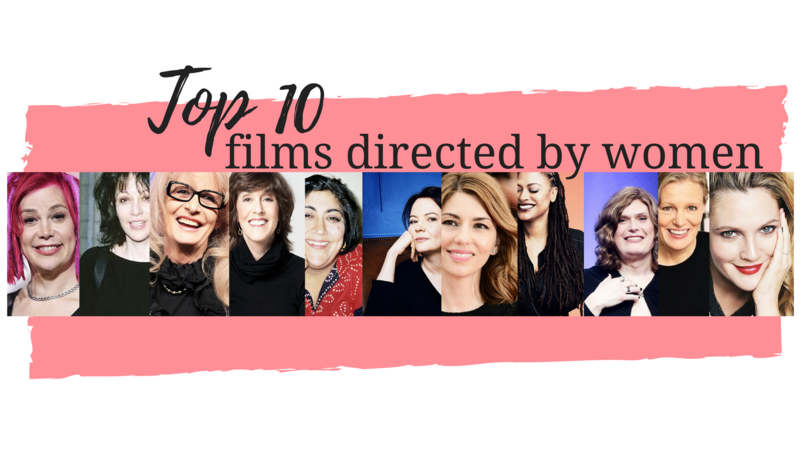 In my top 10 we have ‘fluffy’ rom-coms, comedy, sci-fi, documentary, satire and thriller; we have women from both the US and UK; trans women and women of colour. You have women directing men and women telling female narratives, both serious topics and feel good tones. And this list doesn’t even count the women in foreign cinema particularly in South East Asia or South America, up and coming directors like Mira Nair (Queen of Katwe), So Yong Kim (Lovesong), and Amma Asante (Belle), and the hordes of independent artists online making short films for YouTube or Vimeo. There’s more work to be done but there’s already great advocates for women via the Geena Davis Institute and the recently launched Alice Initiative. The future seems bright for women behind the camera, I only hope Hollywood gives them the recognition one day too. This was my top 10 but I’d love to hear what some of your own favourites are too. So, shout of some badass women in the comments!